Criticized heavily due to his performances in the first half of the season, Paul Pogba has proven to be a vital cog for Ole Gunner Solskjaer's Manchester United. He has 11 goals and 8 assists in the Premier League this season which really questions the opinions of his critics. 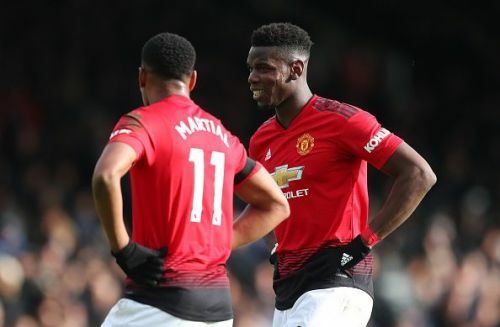 It is no coincidence that Manchester United's good form coincides with Pogba's good form as he is one of the players with most impact for United on the pitch. Paul Pogba is world class and his abilities were unlocked under the guidance of Interim manager Ole Gunner Solskjaer. Since his arrival, Solskjaer was quick to recognize the midfielder's value and what he can bring for the team and freed him from his defensive shackles. Pogba will face a tough job of containing the likes of Marco Verratti and Julian Draxler but he knows when to step up. His ability to dominate opponents with his ball shielding, pinpoint passes, space creating and long shots can trouble PSG and the French side will be aware of the threat.